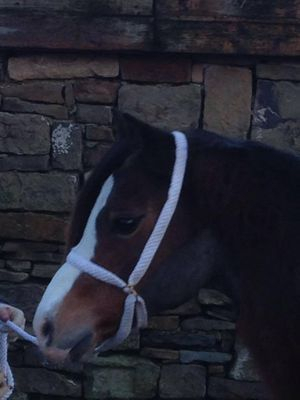 Doll is very kindly on lease to us from Helen Leach, Coeden Stud. 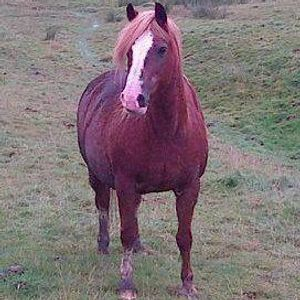 Doll is Dam of Coverdale Ap Dyfodol who has been very successful as a youngster inhand and also undersaddle, qualifying for HOYs!! "Kaidi" has been a very successful producer for Pauline and Peter Keyte, Oakmill Stud. 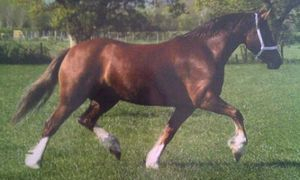 Including Oakmill Llewelyn who has won many major shows both inhand and driven. 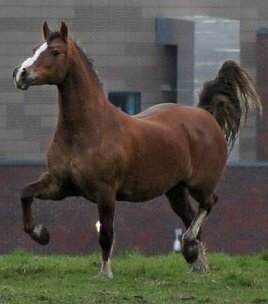 Kaidi has now been retired from breeding and is enjoying a no responsibility way of living!! 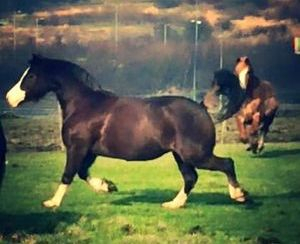 "Ruby" was top priced foal at the autumn cob sales in Builth 2005. Shown successfully as a youngster a welcome new addition to the stud and hopefully a fantastic cross for Parvadean Roberto.